Dekbond is an acrylic resin emulsion for bonding high-performance polymeric roof membranes to a range of roof-deck materials. 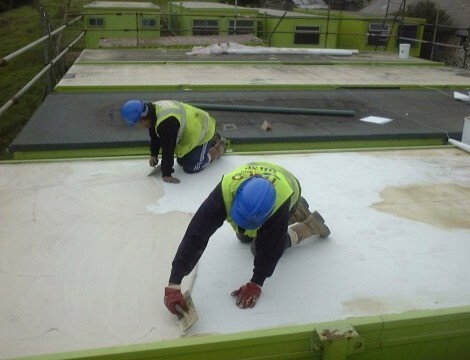 It develops excellent adhesion over a period of time, which makes it highly suitable for use on flat roofs with falls as well as up-stands and trim work. 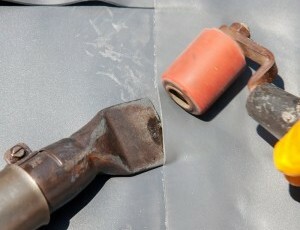 For timber and composite boards, the presented surface must not be degraded. 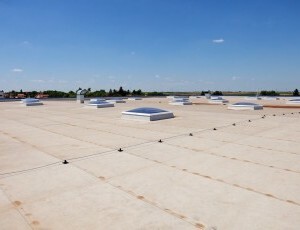 An effective vapour or damp membrane should be incorporated in the roof structure, especially where the roof is insulated. Effective roof venting should be provided to ensure that condensation and trapped moisture can escape. Apply Dekbond with a notched trowel or long-haired sheepskin roller at a coverage of 2-3.5m2/kg (more will be needed for open-texture and rough surfaces). Smooth surfaces such as plywood may require less adhesive, up to a maximum of 4m2/kg. 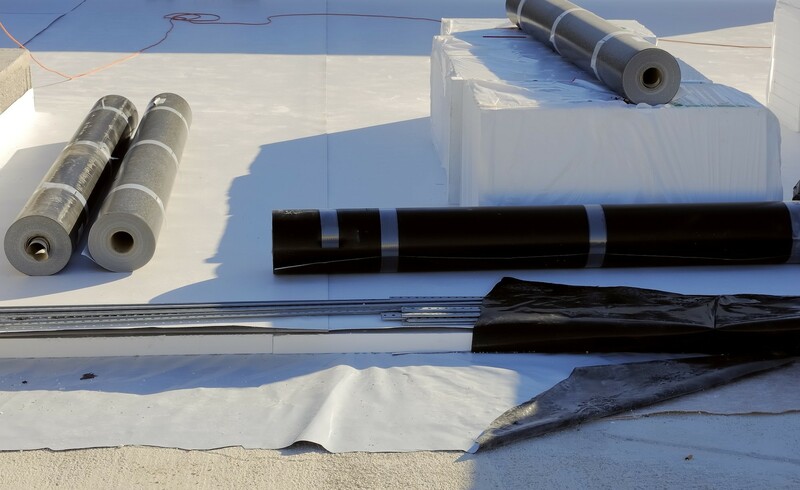 Dekbond has long effective open time range (5-40 mins after laying in average UK weather; 5-20 mins in hot weather), and the roof sheet should be laid into the adhesive during this period; if the roofing sheet is applied sooner than 5 minutes, the adhesive is likely to be too wet. The roof membrane should be rolled into the wet Dekbond and pressed in using a stiff brush or squeegee. Check regularly that the adhesive transfers completely to the reverse of the sheet and is bedded in place. 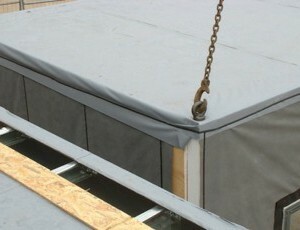 Drying time is normally around 24 hours to fully cure, during which time the roof membrane will be seen to tighten. 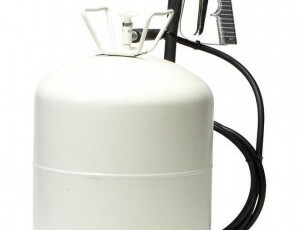 Do not dilute Dekbond adhesive or use on a damp surface, and protect from frost. All boards should be resistant to moisture, but not sealed with adhesive repellent waxes, etc (if in doubt, a small test area should be laid). 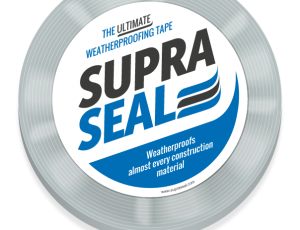 Certain roof surfaces, including those containing pitch or other leaching materials, may not be suitable for use with this adhesive. All the adhesives you need for quickly and effectively bonding roof membranes on modular buildings.